ISLAMORADA, FL -- A crocodile apparently decided a morning dip in a Florida Keys swimming pool was just the thing. Monroe County Sheriff's Office spokeswoman Becky Herrin says an Islamorada homeowner called about 7:30 a.m. Thursday to report the croc in his pool. 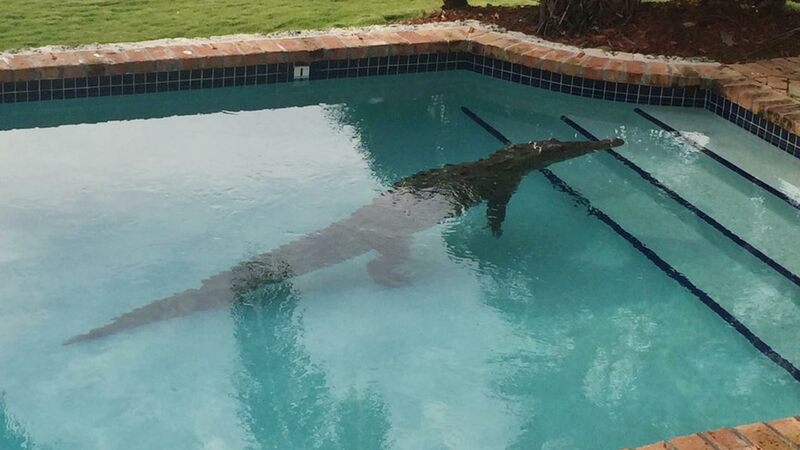 A photo provided by the sheriff's office shows the large reptile floating languidly in the shallow end of the pool. Herrin said the animal was about 8 feet long. Herrin says deputies and officers from the Florida Fish and Wildlife Conservation Commission safely removed the animal and returned it to its native habitat. The American crocodile is designated as a federal threatened species. It lives mainly in brackish waters of South Florida and the Keys. Islamorada is 77 miles north of Key West.